Your favorite striptease game show is back! Lucky Charms on a Sunday afternoon?? ....That's right! Girls~ Games~ Fun~ Prizes PLUS Lunch and Mimosas! We Take It Off.... You Win! will be signing her autographed photos for sale! 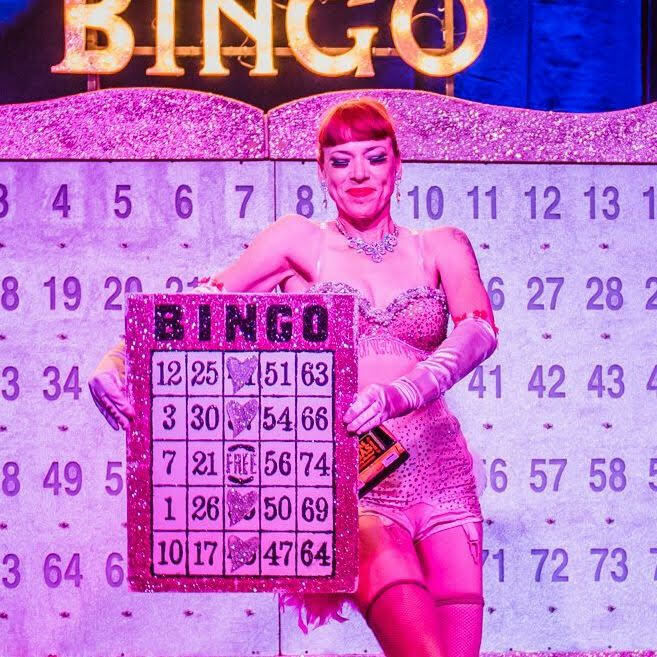 Get your Audrey DeLuxe and Burlesque Bingo Merch! And much more! Lot's of delicious food options from Congregation Alehouse brough straight to your seat! GET IN, GET OUT, GET LUCKY!